The Legendary Pokémon Articuno will appear in Pokémon GO as a Raid Boss for only three hours on July 7. Trainers all over the world completed millions of Pokémon GO Research Challenges, including many at the huge Safari Zone event in Dortmund, Germany. This concentrated effort has earned everyone the chance to encounter Articuno for a limited time. 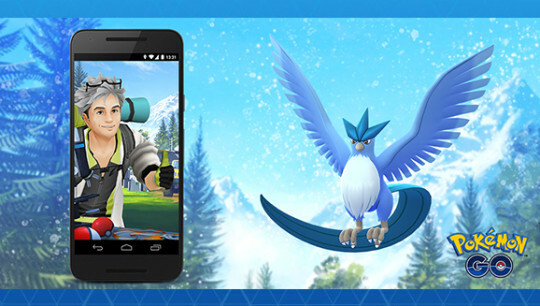 The Legendary Ice- and Flying-type Pokémon will be available in Raid Battles around the world, and lucky Trainers may even encounter its Shiny form! When you spin a Photo Disc at a Gym, you’ll receive a Raid Pass up to five times during the event. Don’t miss your chance to catch the rare Legendary Pokémon Articuno. Plus, look forward to seeing what’s to come in the next leg of the Global Challenge during Pokémon GO Fest in Chicago, Illinois, on July 14–15.